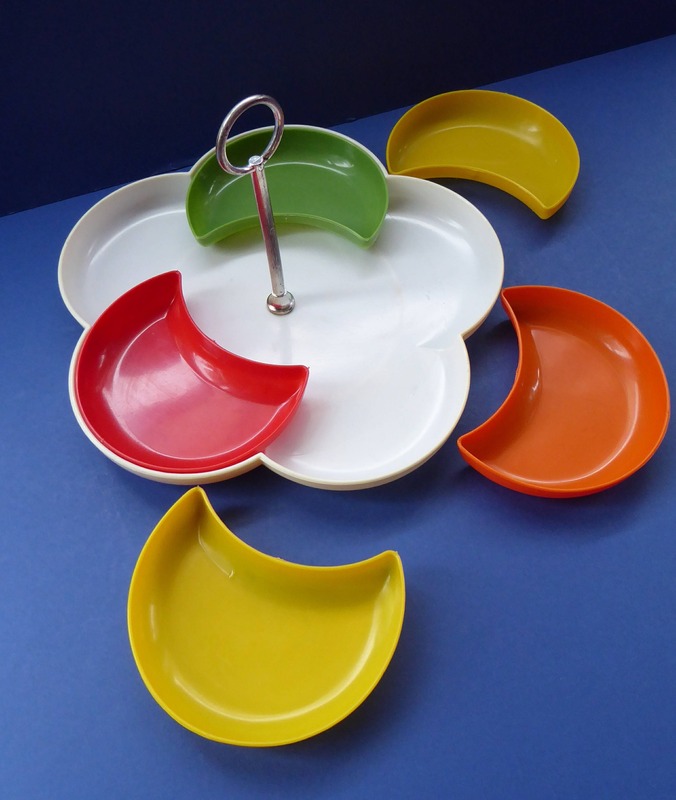 I love this special little nibbles tray - great for serving lots of little cocktail snacks, such as nuts, olives and twiglets. This one comes from my own personal collection and I have owned it since the early 1990s - and it was vintage even then! I have been doing a little spring clean of the house and decided to part with a few of my own personal favourites. I have had this packed away and unused for years now - so still in fabulous vintage condition. 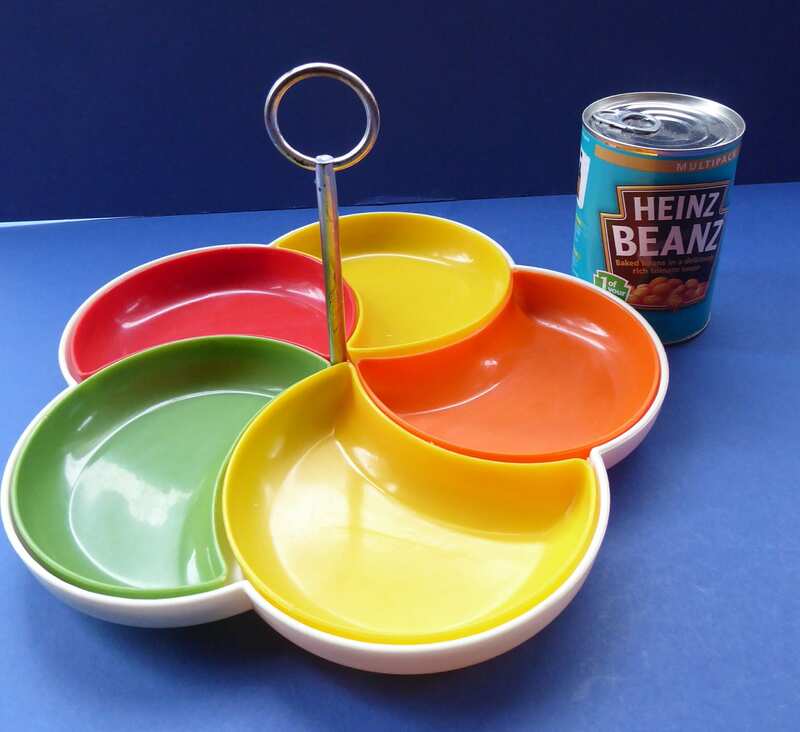 The serving tray comes in sections, as you can see in my photographs. 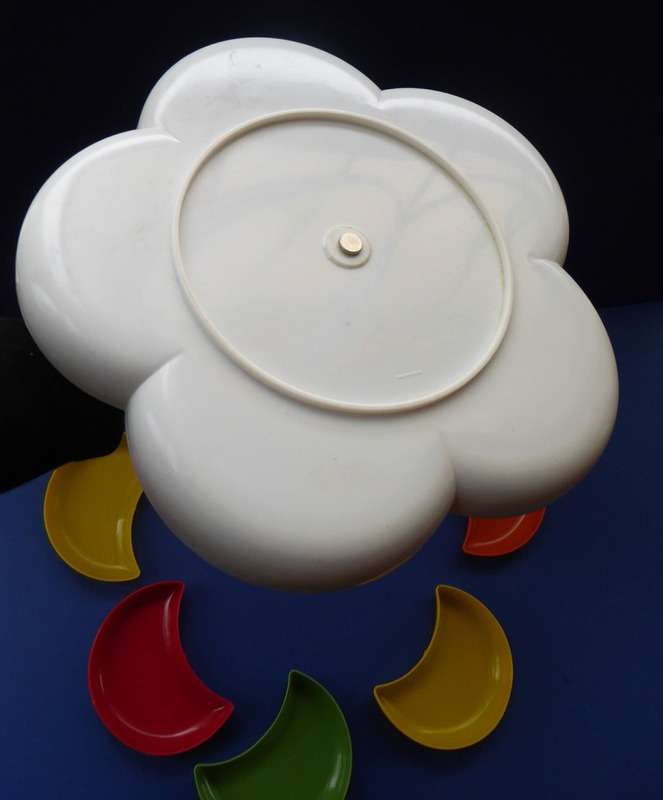 There is a base tray made of sturdy white plastic - it takes the form of a large daisy. 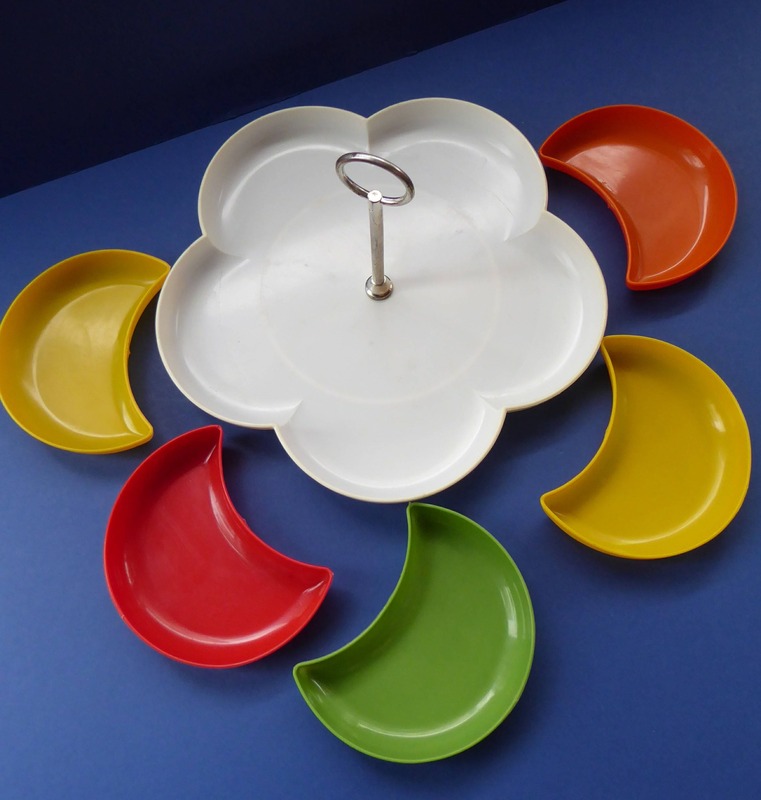 Into the base tray fits in five bright plastic serving dishes. Each segment is 5 ¼ x 3 ¼ inches. Overall diameter is 11 inches. 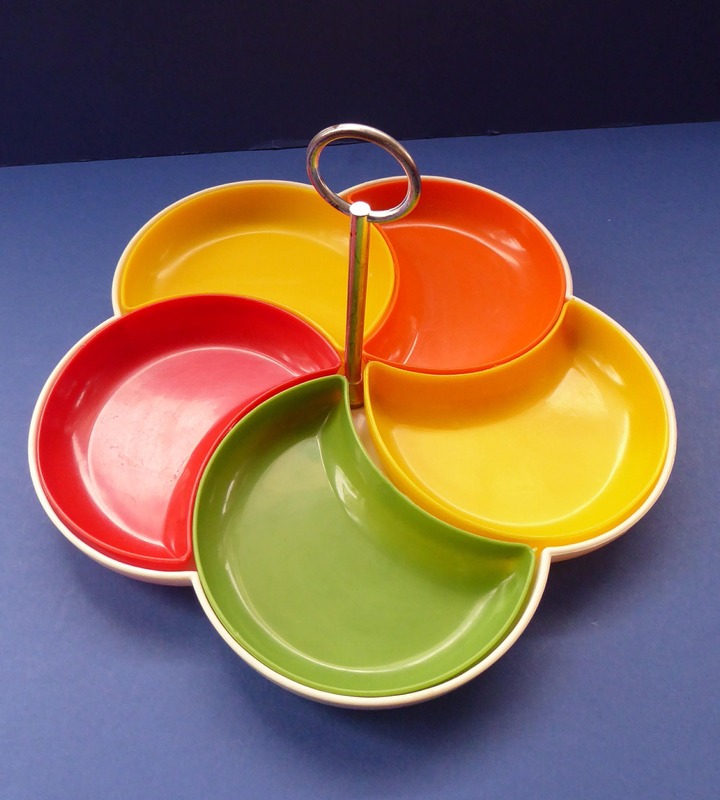 To help you carry the tray a little "umbrella" shape handle attaches in the center. The handle is made of silver coloured plastic - the colour is not as shiny as it originally was, commensurate with age.